A customer recently contacted our store to formally request that we not carry the August issue of Rolling Stone due to the controversial image on its cover. I appreciate her concerns, and agree that it’s poor taste for the magazine to portray the young man accused of planting bombs at the Boston Marathon as though he were a celebrity (see the Huffington Post for a discussion on the cover’s design). Personally I object to the portayal, but, as a university store, we have decided not to join the boycott of the issue. We want to add to the discussion, not take away from it. The issue will be available on request, but not displayed. In its place I will be promoting A Constellation of Vital Phenomena by Anthony Marra. It is a devastating story, told with immaculate care by a decorated debut author. 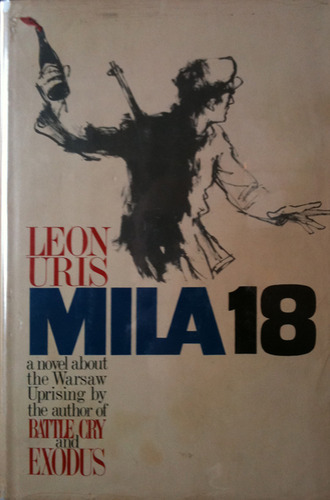 Marra didn’t take an easy route for his first novel, although I wouldn’t term it overly ambitious. To crib from the title, it is a vital story, one that required refined skill to write and needed to be published (and I commend Hogarth for doing so). It is a necessary read for anyone trying to understand the violent forces that shape the people of Chechnya. There is nothing glamorous in the portrayal of violence for the sake of any cause, not even in the amputation of a leg mutilated by a mine, as in the attacks in Boston. Only eight-year-old Havaa isn’t compromised in this constant struggle to survive, but she is without recourse when her father is taken by Russian forces. She hides in the woods as her house is burned to the ground. The Russians will leave no trace of her family, without exceptions. Her father’s friend Akhmed finds her first, and takes her from their remote village of Eldar to the city of Volchansk, where there is a shelled-out hospital. A single surgeon named Sonja still operates the hospital, but she too has been shelled out by ten years of fighting. Akhmed, the village’s unlicensed doctor, trades his rudimentary assistance for Havaa’s boarding in the hospital. Akhmed (a Chechnyan) and Sonja (a Russian) continue to function in their grim circumstances, and between them they manage to spare Havaa from a terrible fate. A Constellation of Vital Phenomena is a tragic tale of friends, family, and neighbors who alternately wrong and ultimately redeem one another. It should resonate with anyone who experienced the ‘B Strong’ resolve that swept through Boston in the wake of the deplorable attack. I recommend keeping the focus on the survivors who carried one another to safety, which is why I strongly recommend this book. I’ve resorted to posting on a Saturday night, as I am at a loss for time during the week. Recently I have taken on the responsibilities of three book buyers, so my work week is three times as hectic. It began on April 30th, which is buyback time at the University Campus Store. That was the day our outgoing store director decided to eliminate the position of trade book manager. It came as a welcome relief to said manager, my friend Drew Goodman. Since his full time staff was reduced by two thirds (see Book Buyer, pt. 2), Drew also had to do the jobs of three people. Sales declined, part time help was scaled back, service suffered, and sales declined further. Drew was maligned as the manager, and his morale sank. That affected his job performance, which didn’t help the decline of the department. Drew knew the axe was coming, and was glad when it finally fell. I didn’t share the sentiment. I was glad that he could escape a stressful and unappreciated situation, but I knew that stress would roll my way. As the once and future trade buyer, there was no one else qualified to assume those responsibilities. Yet the associate director and outgoing director didn’t realize that there were many aspects of the business that Drew did not train me to do, and I no longer have him as a resource. Drew taught me everything I know about book buying, but that doesn’t mean he taught me everything there is to know. I now handle trade and text buying for the store, which has been a considerable challenge the past few months. The summer semester started in mid-May, and at the end of the month I set up a pop up store at the Grand America Hotel for the Congress for the New Urbanism. That sale was an unexpected success, for which I was given an Employee Excellence Award. I had no time to rest on my laurels, however, as inventory followed a week later. This past week we underwent the transition from our summer set up for textbooks to the fall set up, and it was apparent how much I’ve overlooked my textbook buying while tackling trade. At the same time I picked up my third buyer role. The outgoing director retired at the end of June, but the lengthy search for a replacement came up empty. Our associate director was named interim store director; he in turn appointed the lead buyer to interim manager, and me to interim lead buyer. It’s a promotion for the next six months, at which time I may have the opportunity to apply for the position on a permanent basis. I accepted the promotion, even though it will increase my responsibilities yet again. Why did the store eliminate the trade buyer position, put those duties on the trade manager, only to eliminate the trade manager and return those duties back to me? It certainly wasn’t because I do it better than Drew; it’s because I’ve been cross-trained to buy both text and trade. The two departments were combined last summer, so Drew and I were able to share an office again. Drew was given text buying responsibilities, but his trade duties were not shared out to the other text buyers. He had his hands full already, and couldn’t give any attention to text. My transition from full-time trade to text facilitated the necessary training I needed to be able to do both. The more you can do for a company, the more you will be expected to do. With this chance at a promotion, my multiple roles may pay off. Becoming a Book Buyer has had steady hits over the past 15 months, making it one of the top five most viewed posts on my blog. Enter the phrase as a Google search and my post is one of the top results. Given the level of interest shown and the economic downturn, I decided to post an update. According to an Association of American Publishers report book sales dropped 17% in March and are down 6.8% year to date. Many stores are surviving by cutting costs, and a few are even thriving. No, I’m not talking about Barnes & Noble, which had a net loss of $2.1 million in the first quarter. Books-A-Million fared better, with a net increase of $2.1 million, although their sales were a tenth of Barnes & Noble’s and they were not obligated to pay a CEO her salary during that span. But regardless of first quarter performance, there aren’t many options for becoming a book buyer at a corporate bookstore. I am talking about the independent bookstores that have developed unique identities and are located within communities that have rallied around them. These stores won’t compete with the chains when it comes to total sales volume, but they do offer the best opportunities to become a book buyer. A successful independent bookstore will already have a qualified book buyer who is instrumental in the store’s success. Ideally one would become an assistant buyer in such a store, learning the trade from an experienced hand as a modern apprentice. There aren’t many openings for assistant book buyers in this market, not when stores are forced to scale back on inventory and personnel in order to offset declining sales. The trade book department in our store had to cut two full-time positions, including the buyer position. As such I am being reassigned as a textbook buyer. I am fortunate to work in a store with that option, as opposed to the limited alternatives other stores are currently facing. When I started working in the store there wasn’t a trade book buyer position. Now that it has become untenable I’ve been given another book buying opportunity. I’ve only had these opportunities because I was hired to run the candy counter. You have to get your foot in the door, even if that means working as a barista in the cafe. You may need to gain some experience working in a chain store before moving on to an independent store. You have to work your way up. In my case that is both figurative and literal, as the textbook department is on the second floor of our store. I’ve gone from one end of the conveyor belt to the other! Consummate gentleman, book sales representative, and friend Henry Hubert passed away last Saturday. I only had one opportunity to meet with Henry before he retired from a career in books that spanned half a century, but even that one meeting was memorable. Henry introduced me to The Irony of American History by Reinhold Niebuhr, as he introduced numerous buyers to countless gems over the years. In a previous post I wrote that Henry was retiring from his impressive career due to exorbitant expenses. That was a saddening loss; this is awful. Like Steve Carell’s character in “Dan in Real Life”, bookstore employees pride themselves on hand-selling books. 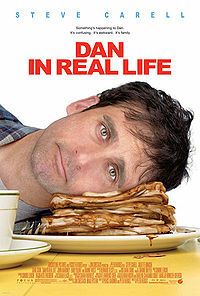 Unlike Dan they do it for a living, but that doesn’t necessarily preclude romantic entanglements similar to the one that made the movie so enjoyable. The nature of hand-selling is getting to know the customer’s preferences and introducing them to a book they can fall in love with, after all! Sales reps from publishers provide the same service to bookstore employees, making recommendations based upon each store’s unique clientele. This requires developing a personal relationship that goes far beyond ad copy in a catalog. Some of our reps have forged those candid relationships with us, only to have them sundered by the current retail climate. Henry Hubert, the independent rep who shared with me The Irony of American History by Reinhold Niebuhr, was forced into another line of work when his expenses exceeded his income. It’s not just the independent reps who are cutting back, however. Scholastic cut Dawn Kehret’s position when they couldn’t get enough volunteers for early retirement. Larry Yoder was forced to retire a year early by MacMillan. We will get new reps who may be every bit as enthusiastic and capable as Henry, Dawn, and Yoder, but they won’t have the same rapport with us. They won’t have as much time to develop that relationship, either, now that they will have larger territories to cover. We still have John T. Lake as our Pearson rep, but he is now responsible for every account west of Chicago as a result of restructuring. This does not bode well for the publishing industry. Books need publishers, so the houses must be fiscally responsible, but bookselling needs the personal touch, too. Hand-selling books is absolutely critical in lean times, at every level. We’ll miss you, Henry, Dawn, and Yoder!